A man sat in a parked car was attacked before he was robbed of cash in Northampton. The incident happened yesterday (July 15) between 3pm and 3.30pm when a man, who was parked in Spencer Street in St James with the car windows open, was hit on his eyebrow by an unknown offender. A second offender then reached through the passenger window and took a quantity of cash. 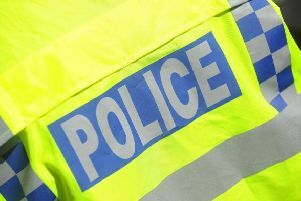 A spokeswoman for Northamptonshire Police said: "The first offender is described as a 30 to 40-year-old white man of average build, wearing a black baseball cap and black T-shirt."